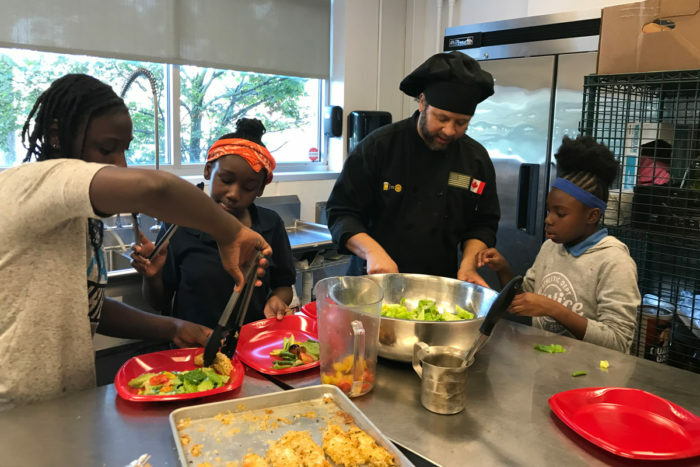 Addressing the water crisis head on, multiple healthy food initiatives are working to improve health, nutrition, and food security while jumpstarting the local economy. 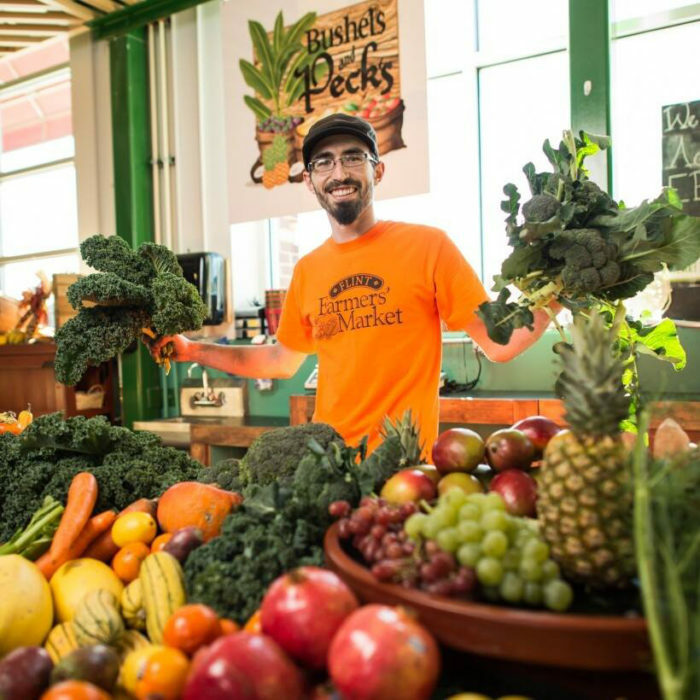 It’s a cold, snowy Thursday in Flint, Michigan, but business is more than steady in the Flint Farmers’ Market where Clinton Peck runs Bushels and Peck’s Produce. Locally grown micro-greens, beets, Brussels sprouts, and cabbage cover the booth, along with tropical fruit and other items he picked up at the produce terminal in Detroit. Elsewhere, the late lunch crowd is enjoying the offerings at the nearby restaurants. Later in the day, a group of kids from the city will participate in a cooking class in one of the market’s industrial kitchens. The prescription program parallels other investments in the Flint food system designed to mitigate some of the worst effects of the water crisis. Programs like Flint Kids Cook—also coordinated by the HCC—as well as Double Up Food Bucks, Flint Fresh, and investments in community businesses such as the North Flint Food Market are helping Flint residents access fresh fruit and produce, as well as milk products, that are a proven to lessen the effects of lead on the body. 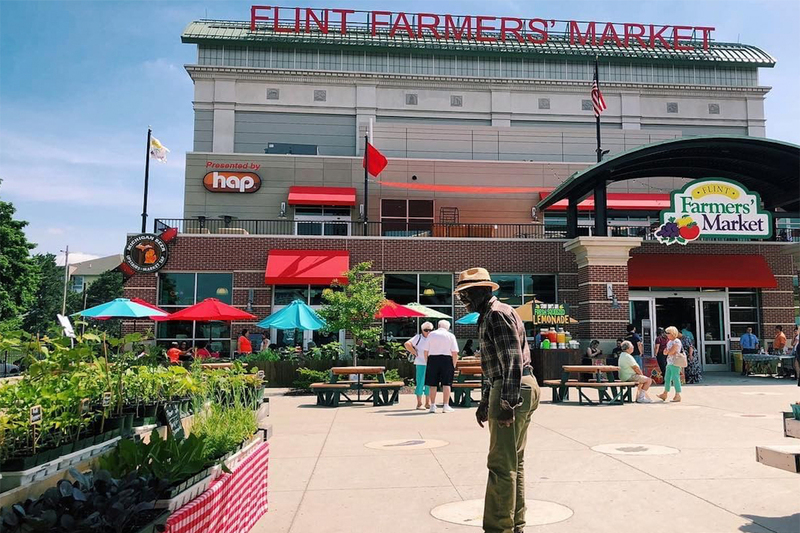 For the most part, the produce that Peck sells and Flint Fresh distributes comes from outside the city proper, but Flint Fresh has a specific program of soil-testing and post-harvest handling for growers within the city limit to address lead concerns. Top photo courtesy of the Flint Farmers’ Market.